BUFFALO, N.Y. -- U.S. Attorney James P. Kennedy, Jr. announced today that Eric Taylor, 35, of Buffalo, NY, who was convicted of conspiring to retaliate against a witness, and retaliating against a witness, was sentenced to serve 48 months in prison by Senior U.S. District Judge William M. Skretny. Assistant U.S. Attorney Laura A. Higgins, who handled the case, stated that on October 11, 2014, the defendant approached the victim at a convenience store in Lackawanna and told the victim that Reuben Fears, a co-defendant in the Project Boys drug case, wanted to see the victim at the Gates Housing Project in Lackawanna. As the victim followed Taylor to the location, Taylor gave a verbal signal to co-defendant Sharon Thompson by singing a rap song. Sharon Thompson then jumped out from behind a dumpster and assaulted the victim by punching the victim in the back of the head knocking the victim down to the concrete. Taylor then joined in the assault and struck the victim on the other side of the head. The victim lost consciousness, had swelling and contusions on the head and neck area, and required stitches. Taylor and Sharon Thompson planned a retaliation and Taylor took the victim’s cell phone while the victim was unconscious to check for evidence of cooperation with law enforcement officers. 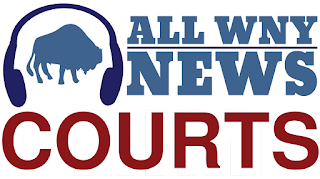 Reuben Fears, Laron Thompson, Sharon Thompson, and 17 others were indicted in December 2014 for engaging in narcotics trafficking in the Gates Housing Project, a housing facility owned and operated by the Lackawanna Municipal Housing Authority. Laron Thompson and Sharon Thompson were previously convicted. Laron Thompson is awaiting sentencing, Sharon Thompson was previously sentenced to serve 24 months in prison. Charges are pending against Reuben Fears. The fact that a defendant has been charged with a crime is merely an accusation and the defendant is presumed innocent until and unless proven guilty. Taylor’s sentencing is the result of an investigation by the Federal Bureau of Investigation, under the direction of Special Agent-in-Charge Gary Loeffert, and the Lackawanna Police Department, under the direction of Chief James Michel.